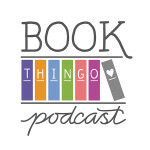 In Category romance, Contemporary romance, Historical romance, Reviews, Romance. 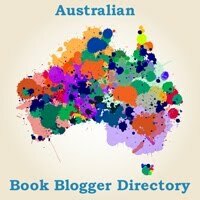 In keeping with Aussie Author Appreciation Month, this Mixed Bag features local authors whose work we haven’t previously reviewed on Book Thingo. Lea Curran’s one-night stand with rodeo star Reilly Martin resulted in a baby he never knew about. But four-year old Molly’s only chance to live a normal life may rest with cord blood from a close genetic match. Lea will do anything to save her daughter, including sleep with Reilly again to conceive another child. But first she has to tell him about his daughter. The complications in this story make for dramatic conflicts, and the first twist totally threw me. Nikki Logan doesn’t let up on the angst, and with a terminally ill child involved, this book is guaranteed to be a tear-jerker. Luckily, it’s a romance. With an epilogue! Reilly starts off acting like ye olde heartless hero bent on revenge for Lea leaving him after one night—‘as cheap as a motel television’—and not telling him about the baby. …in all her planning and visualisation it had never occurred to her he would care about the baby that would result, let alone want it. The paradigm she was working from was five years out of date: Reilly Martin, king of the circuit; lover of women; drinker of beer. But it’s not long before he’s mush. We don’t see the story from his point of view, so there’s a bit at the end where you may feel like smacking Lea on the head for being so obtuse. Yay or nay? Delivers what you’d expect in a category romance, with the added bonus of being set in the Kimberley. You can read an excerpt via the author’s website. A review copy of this book was generously provided by the author. This book was released under the Sweet Romance line in Australia and the Romance line in the US. Amy Parker’s two biggest dreams were to restore the local movie theatre to its former glory, and for BFF Quinn Whitfield to see her as more than a friend. When soon-to-be-divorced Quinn shows us unexpectedly, Amy might finally get everything she’s always wished for. This isn’t a bad read if you like your Blaze very dramatic and angsty. Mayberry’s writing is always up to par, but I had a problem with the love triangle in the story. I was left feeling like Amy deserved more than to be the second choice, even if she ultimately proves to be a better match for Quinn. Yay or nay? Despite the happy ending, the story felt bittersweet and the hero failed to satisfy. You can read an excerpt via the author’s website. 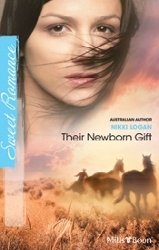 This book was released under the Special Moments line in Australia and the SuperRomance line in the US. Marissa Rotherhild doesn’t want to marry a botanist, but she ends up trying to seduce one into an affair. Lord Valentine Kent is determined to find a rare kind of rose, but there’s an insane man determined to thwart him, and the whole thing is putting Marissa in danger. She’s innocent, but she’s a temptress. He’s an absent-minded botanist, but he’s not really—just…driven? The villain is completely insane and who knows why. There’s a leak in the household, whose identity becomes glaringly obvious to the reader after the second time the character is mentioned. They all run around the countryside looking for a rose. Everything about this book was confusing. Characters made the oddest decisions and everyone moved at the whim of the external plot. Marissa does something so incredibly stupid at the end of the book, but by that time it was too late to DNF the entire thing. Yay or nay? 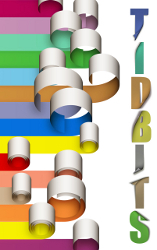 Best read in one sitting or confusion will get the better of you and it will be impossible to finish. You can read an excerpt via the author’s website. 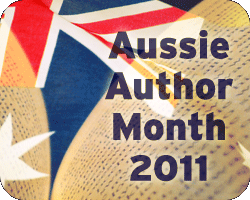 Tagged 2010 releases, 2011 releases, aussie author month, australian authors, australian characters, australian romance, nikki logan, sara bennett, sarah mayberry.